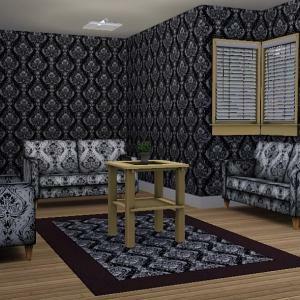 I've made some lovely floors that I had made for sims 2, and have converted them into sims 3 floors for you to enjoy. These floors have 3 recolorable channels to them. I hope you enjoy them! I think they look fantastic! Enjoy this 2 tone pattern found under abstract. Packaged as a sims3pack file.